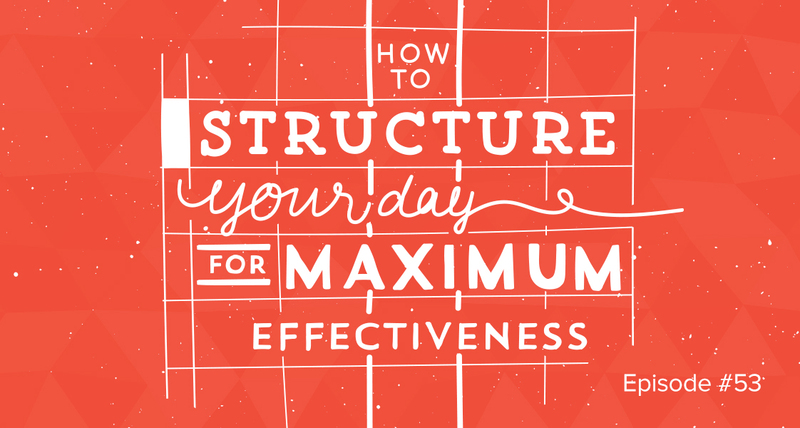 Today I’m giving you a formula to structure your day to help you make sure you work towards your main goals while also getting your smaller tasks done. I also discuss a handful of tips to make sure you don’t overwork yourself and make the most of the time you have. If you’ve read the book The One Thing, you can focus on the one big thing for the day and let other things come to you. But having a structure of big, medium, or small works well because you still have the focus on the one main thing, but you make sure to leave time for things that are important, even if they aren’t as important as the main goal. Bear in mind that no day is going to go according to plan – there’s always something that will pop up. You know these are important, but if you don’t prioritize them, you’re being more reactionary than anything. At the end of the day, it’s all about discipline. If you burn yourself out, it will lead to bad habits overall. A maker is a writer, designer or developer: someone who’s creating – which takes a lot of time and effort to focus in on the task at hand. Distractions here are a recipe for destroyed productivity – so leave these people alone and let them do their thing. Managers, on the other hand, are constantly flying all over the place, because there’s lots of small tasks throughout the day. If you’re the company owner, you’re probably switching between the two and need to learn the distinction.